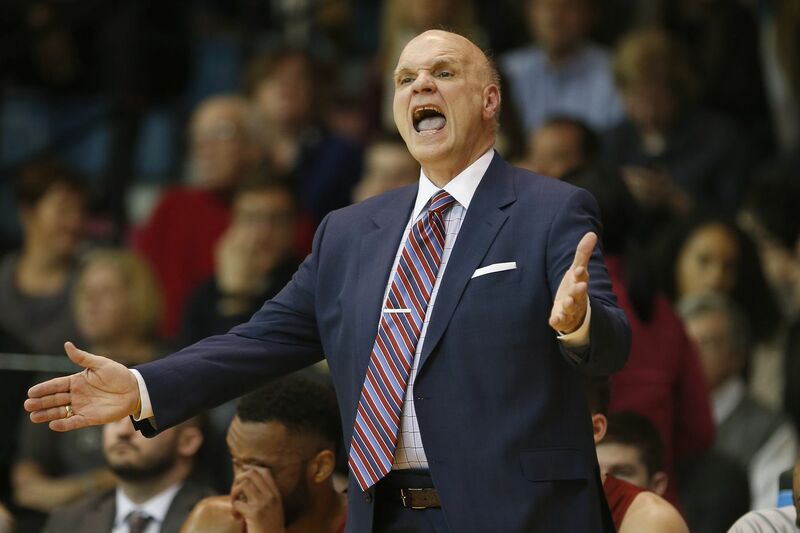 Phil Martelli and the St. Joe's Hawks will play Loyola Chicago this season. As the St. Joseph's men's basketball's nonconference schedule begins to take shape, fans can look forward to a matchup with 2018 Final Four team Loyola Chicago. It is to be held at the Palestra on Dec. 22. The school announced the game Monday, saying it's the first time St. Joe's has played at the venue against a team outside of the Big Five in eight years. "Scheduling the Loyola game took a lot of phone calls and many connections with different people. We've been trying for years to play them," Hawks head coach Phil Martelli said in a statement. St. Joe's already has a handful of games scheduled for the upcoming season. The Hawks open on Nov. 9 against Old Dominion. Later that month, they head to Conway, S.C., to play in the inaugural Myrtle Beach Invitational, which will feature West Virginia, Wake Forest, Monmouth, Western Kentucky, and Valparaiso, among other teams. St. Joe's will play defending national champs Villanova as the road team on Dec. 8, host Temple on Dec. 1 and finish out its City Series slate with Penn on Jan. 26 at the Palestra.